Welcome back to ‘What you missed this week’. 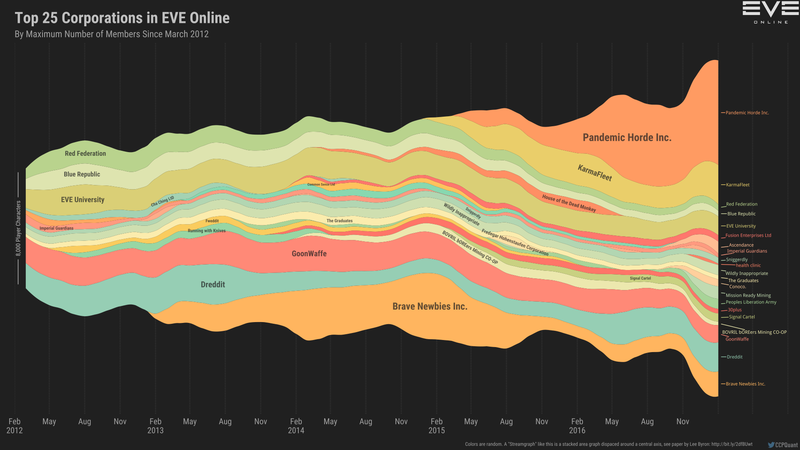 This week has been one full of drama and, with the candidacy period on full roll, a hive of activity on reddit and the forums. A bit of the reason this roundup is coming late is so that it could delve in the few-hours-ago recent o7 show which showed off a slew of cool things that I’ll be digesting here. So, even if you’ll probably be reading this at work, kick back and relax and if your boss asks you what you’re doing, tell him some dude on the internet told you to take it easy. It’ll be fine! Let’s start this off by going into the thick of something that already won the “2017 juiciest drama” award. 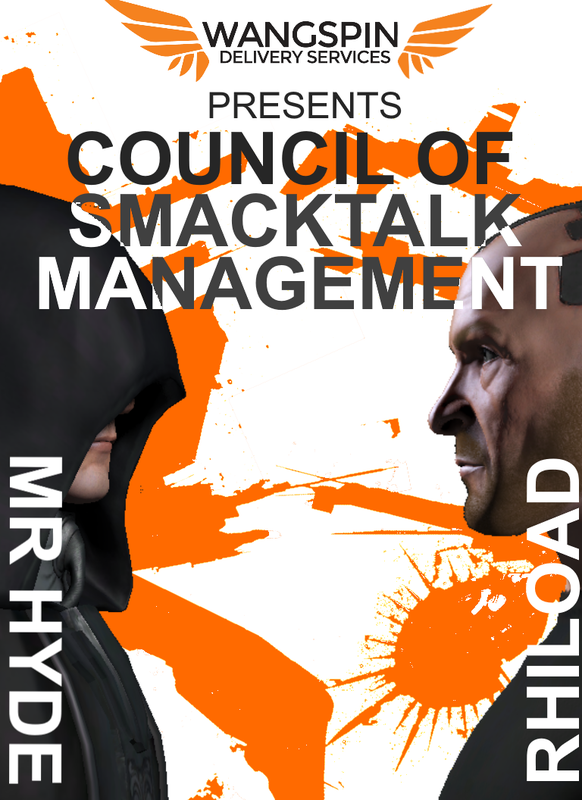 Rhiload had just submitted his candidacy for the CSM on the forums. Hyde popped in and flaggelated him as pining to get a CSM seat on the popularity of his youtube series, “The Zkill Guide“, mentioning that his skills, and rhiload himself to be a “charlatan” and being “propelled above his station” (something which quickly turned into a meme). This comes on the heels of Hyde himself not be competing for CSM12, due to personal time constraints, and wanting a ‘fitting candidate’ to ‘take his seat’. Hyde has always been two things. Very serious about Eve’s balance to the level of not even asking for advice save for a few contacts he trusts and he has also been very serious, period. 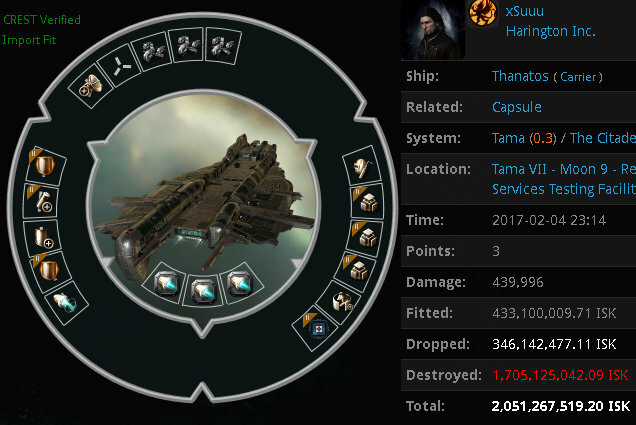 He does have a point with the CSM dropping to 10 seats instead of 14 seats that that the little representation solo/smallgang/ship balance has in the CSM will be even more diluated and has urged people to vote for Suitonia, another high profile excellent pilot, as ‘the smallgang representative’ instead of rhiload. While I do vouch for the concern of popular figures ending up on the CSM based on their media footprint and reach, and while rhiload might not be in the 1% top tier Eve solo/smallgang pilots, it’s not like he’s chop liver. And as a CSM member, as long as he can ask and consult Hyde himself or Suitonia or any other of the high-tier solo/smallgang people, when stuff ‘matters’, I don’t see the huge fuss about it. But in any case, Hyde didn’t just let it die there. He also lashed out at Chance Ravinne, wingspantt, as being a “youtube popularity without any substance to back it up, [which] makes for a hollow and useless CSM member”. Overheat the drama emitters! Chance struck back not long after, mentioning a slew of changes he attests was instrumental in stopping, about the period when Citadels were going to come out. He has had the misfortune of being in CSM10, a CSM plagued with various issues of attendacy and dismissals/resignations, and the flax has stuck to him. And this whole thing snowballed into a variety of venues. 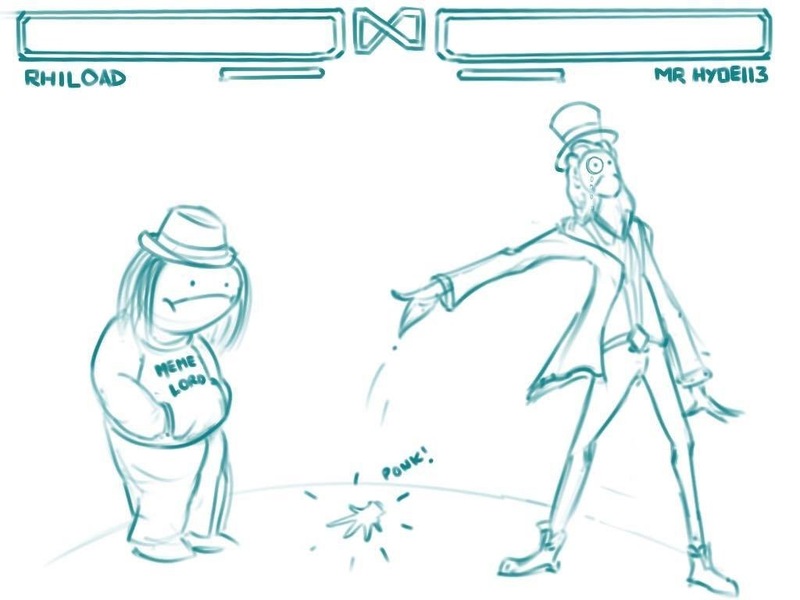 We had Suitonia 1v1 PvP rhiload ‘for the CSM seat’, won by Suitonia, we had Chance doing an AMA on /r/eve, and in the more dire side of things, since it couldn’t be Eve without something horrid, we also had a slew of death-threats going out against Hyde. All in all a fun week. Given that this week we had a RIDICULOUS amount of new candidacy threads, I decided to split the CSM roundups for this week in a separate article, which you can find here. Gonna start this news cycle with the freshest bits of info, the recent episode 22 of the o7 show. The most high profile bit of information was that apparently they found and solved the various issues of rubberbanding which has been plaguing Eve for the last two or three months. A lot of the show was dedicated to Fanfest, unsurprisingly as its coming in hot pretty soon. It mentioned that there will be an in-EVE Fanfest this time as well, though how that’ll shape up we don’t know yet; that Fanfest atendees will be able to ‘shape the lore of EVE’, mentioning that steps are already on the way to set up the storyline for it, possibly the lockdown/zombie thread; and more related to RL, we’ll have Hodor Kristian Nairn DJ the massive party. 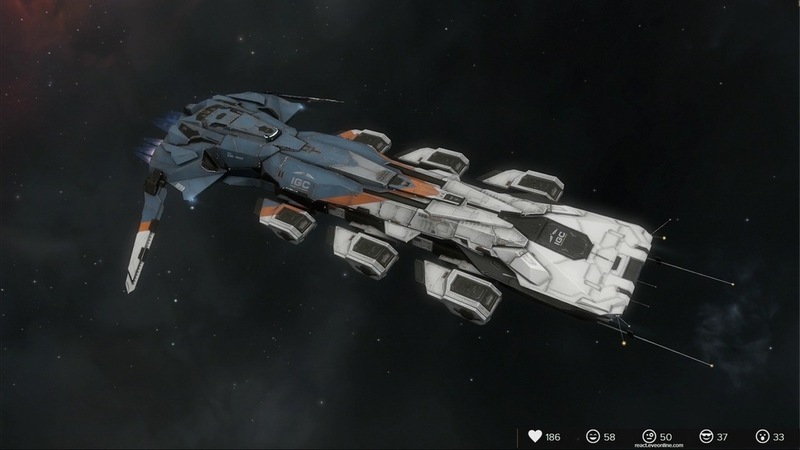 Relating to in-game changes, we had a look at the impeding Cormorant redesign, of which I’m torn between since I love the old model but I also am keen on the new one, the ever-inching-forward redesign of the Chimera and also redefining the visual landscape upon which 1v1 fights ‘at the sun’ will take place on, with suns themselves getting worked over. More importantly to me than all of those were the changes that are coming to the scanning interface. 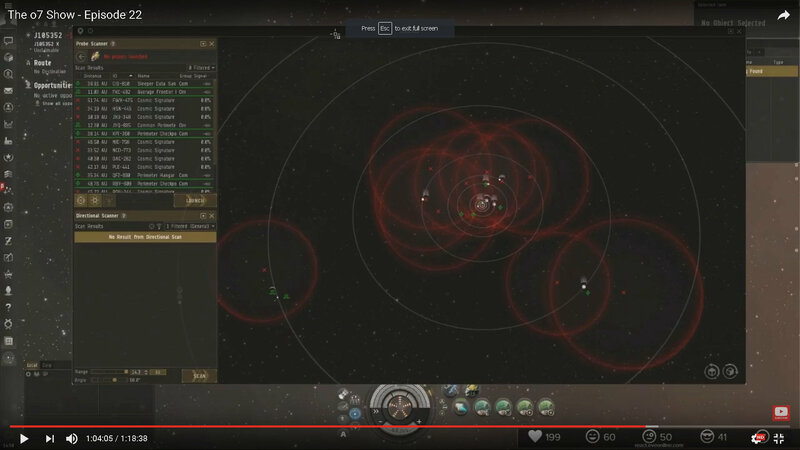 I was really freaked out when I heard about them since often CCP has shown a disregard of the common use of their interfaces and tools, but looks really bloody good. A lot of the issues were solved or tweaked and while I still may want an isometric dscan cone view, the ability to ‘minimise to bar’ of the scanning interface and a better color pallete for those suffering from color blindness, it looks to be leaps and bounds over what we currently have. I’m hyped. If you’re a lore head we have had a new chronicle come out, Sine Wave: Alpha, delving deeper into Alpha clones, and we also have the “Guardian’s Gala” that’s starting up on the 14th featuing random sites spawning all over New Eden. Space will get a lot more bloody and people will be getting more solo kills on their killboards soon enough, as well as some new skins. I mean, did you see that Hyperion?! 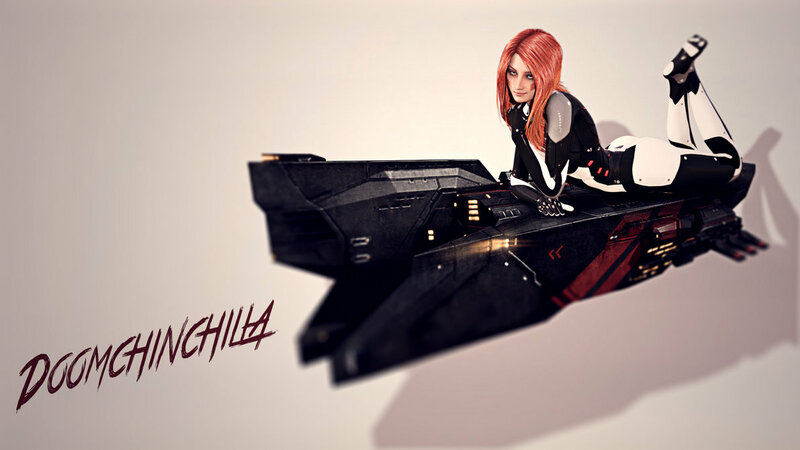 Let’s offset all the praise above with this little tidbit of news when, earlier this week, the entirety of the Eve Online webservices, from the website to the log-in at the launcher, completely coughed up blood and died on your favorite living room carpet. It got fixed more than a few hours later, thankfully happening during EU morning, and it may be related to the fact that the bug-reporting system went down this saturday for regular maintenance. Still, one would wonder what level of catastrophic failure would cause all the backend webservices to die simultaneously, crushing all the in-place backups. In-game news-wise, we have Brave alliance abandons their Cloud Ring campaign after various political shenanigans involving CHAOS and PL/PH and is set to join Walking in Circles Please Ignore in… Catch. If this brings back memories of HERO, the last joint-force alliance formed by TEST and Brave fighting around the same fabled region, then you’d be right. It’ll be interesting to see how all of this will unfold with literally the same players, PL included, in the same place, just 2-3 years later. If you follow politics you’ll see basicaly anyone that’s anyone fighting it out right now in the south of the map, and it’s set to look more like a reunion tour rather than a war deployment. 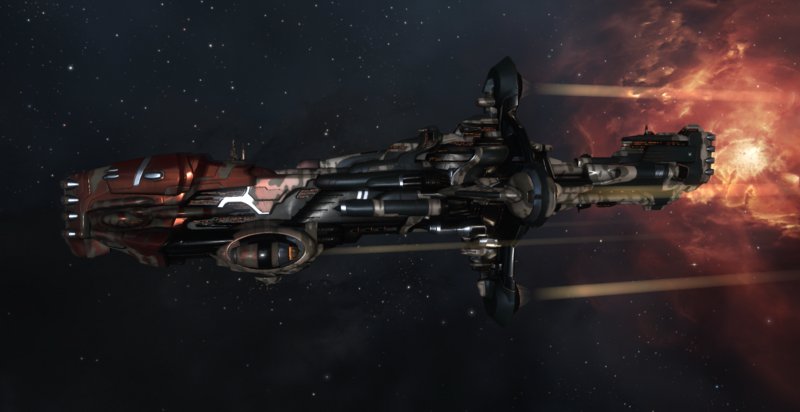 In Providence, the provi-natives managed to secure a resounding 37b killed at a cost of two Nightmares and change versus FCON, with FCON fielding multiple carriers and a Rorqual. 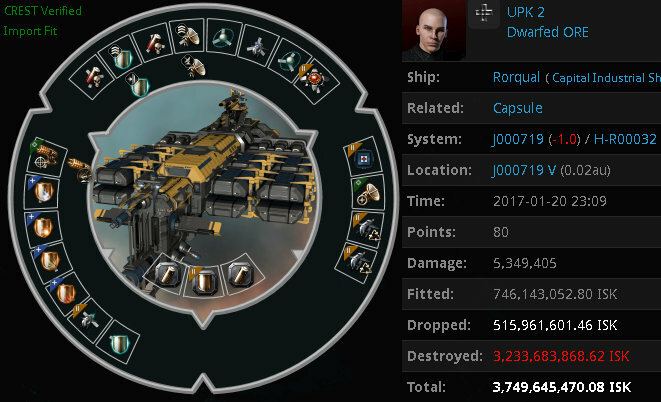 It was a mishmash of variables, from provi initially fleeting up for something completely different, a MC Mach fleet, to FCON missing a log-in trap, but either way fun was had on both sides. In a nutshell the rest of space, mostly boring, has been like this: Project.Box finished their Geminate deployment and went to Black Rise, Did he say Jump and Siege Green are squabbling over in Heimatar, LUMPY are trying their hand in causing a ruckus in Cobalt Edge while Escalating Entropy is trying to take moons in Placid. Out of Sight. and Red Menace Coalition are also peeking into Perrigen Falls and trying to bait fights out of NCPL with little success. More on specifics, as per usual, on EN24‘s roundup which will be coming out later today. A randomie posted this thread a long while back, proclaming that the Eve’s subreddit is almost impenetrable if you’re not in the know. It turns out sometimes even being in the general area of ‘know’ leaves you scratching your head at something like this. In short, Reikoku, a longstanding corp in PL, got kicked because of activity issues. Everyone lost their minds and then threads like that got created, which is a reminder that sometimes the requirement of ‘in the know’ to ‘get’ everything that’s getting shitposted implies being in smaller circle of people that it takes to run a shawarma shop. Closing up with some third party news and a piece of software I may feature later on in a larger article, we have EvE-Prism announcing a new update which contains some unofficial ways of tagging people as ‘alpha’ or ‘omega’, a more detailed corporation analysis that aslo features economic matters, and a very useful ‘locator’ tool that takes data analysis and parsing to new heights. 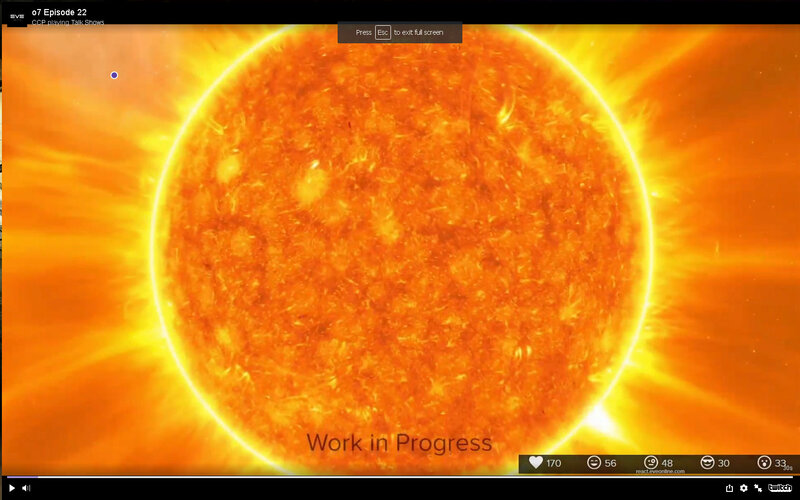 EvE-Prism is the hottest tool out right now for a variety of uses but it takes a lot to understand what’s it actually offering you. I suggest everyone give it a shot. 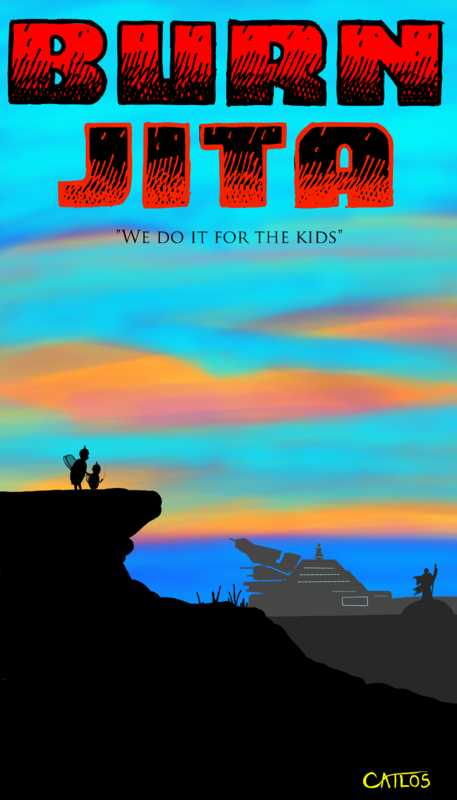 Speaking of posters, we also had this cool art done by Catlos as a Burn Jita support piece. We also had Niden do a custom piece for Doomchincilla of his avatar on a Stork. Closing up with the very proficient and almost-weekly-produced Cpt Blastahoe, chiming in with his new piece, Blast. Slim pickings reached my desk this week, but I’m sure a terribly shitfit Thanatos killed by low-sec mammoth Project.Box is a good offering. And this glorious kill in a C13 “frighole” of a… Rorqual? Oh my. Shenanigans were done. Though I’m more surprised how it was not able to fend off literally five T3Ds and three HICs. We’re gonna start this off with some very close Hecate vs Hecate fights, featuring Zarvox Toral. howdoi shot – of Pandemic Horde membership shares this cool fleet fight against a fleet-full of Feroxes. Baird Wesson put out this very cool montage of his Vargur just doing Vargur things like taking on entire fleets. 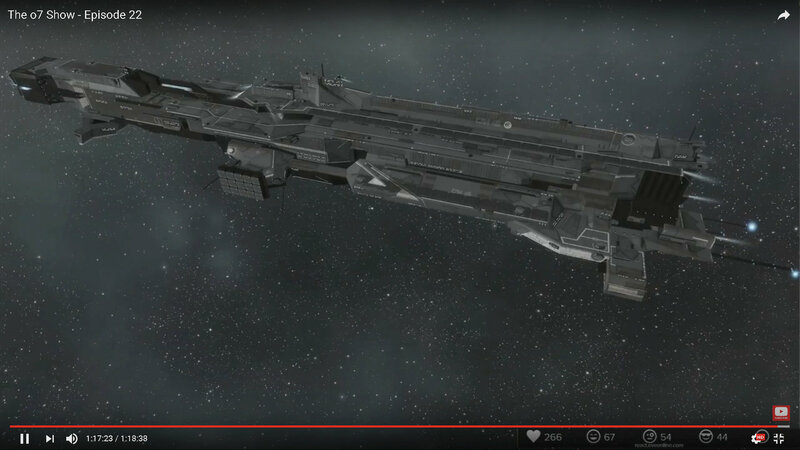 And watch this hilarious multi-titan drop Goons made on a fleet of Tristans. Good fun. Prodding me onwards on my unofficial ‘crusade’ in regards to how information is handled in Eve Online was this week’s announcement, coming from CCP Quant, which says that the Monthly Economic Reports that he does will not feature regional stats anymore, and January’s will be the last one to do so. People freaked out just on that matter but hearing that it was the CSM’s recommandation that such stats should not be revealed gave the masses a target to direct their rage at. I mean someone actually wrote “another instance how CSM is used as a means for elite null to serve themselves”. No, this has nothing to do with any ‘elite null’ serving anything. This has nothing to do with anything else but providing utter and complete free intel that is otherwise extremely hard to source ingame if not downright impossible. Oftentimes threads regarding MER’s showed a lot of questions akin to “what is going in X?” following the regionals, and it was with good reason. While of course Delve will show max-mining-mode-on with Goons having moved in, trading done by region and production quantity can give eagle-eyed observers some insights which otherwise they would not have. Let’s remember that this is a CCP certified data analyst working directly with CCP data, not a third party app yoinking stuff off CREST. While I can appreciate some parts of the MER, especially the cool bonus charts, for everything else I can’t see how the information provided isn’t kept on a much tighter leash. In a game such as Eve anything and everything is information, be it in or out of game, and it can be used. And a perfectly plucked, ripe, bit of parseable data such as the MERs should be handled with care.